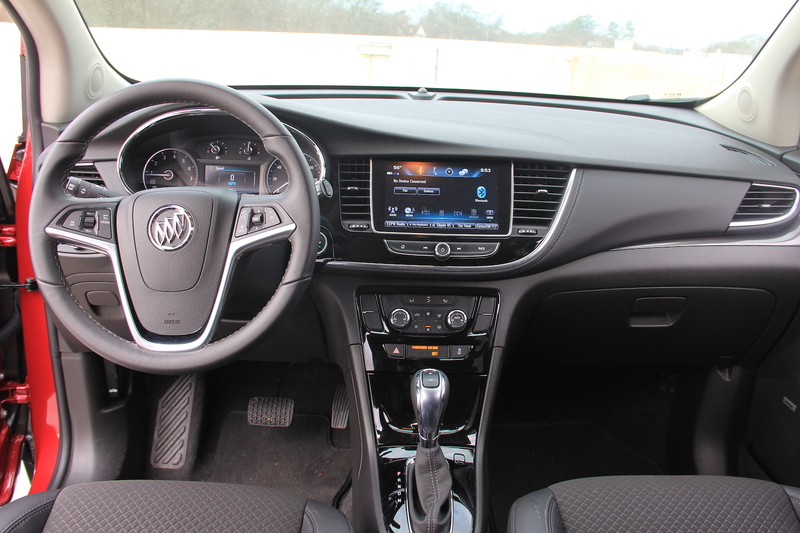 The 2017 Buick Encore is little, loveable and legit! After spending some time with a 2015 Encore a couple years ago, I had a hunch that Buick was on to something. The baby CUV looked like a Buick and all their television commercials ensured you made the connection. However, it wasn’t the land yacht we tend to associate with the nameplate. The Encore is compact, cute, great around town with a reasonable sticker price. In 2015, Buick sold over 67,549 Encores. In 2016, they were up 16.3% to a whopping 78,565 units. That figured helped Buick achieve their best sales year since 2005. The Encore is a winner. For 2017, Buick upgraded the front fascia which wasn’t even necessary as the older style was certainly adequate. Buick should be applauded for being ahead of the curve on that one because it looks great. Speaking of curves, Buick incorporated a few new lines into the Encore’s body that do wonders for its overall aesthetic. In addition, updated headlights and taillights really clean up the exterior catapulting it ahead of its competitors. Buick has historically not fallen victim to GM’s infamous black plastic interior standard. Not to say the interior is filled with frills – the seats are cloth and vinyl – but it still felt more premium than economy. The dash was especially impressive with its soft-to-the-touch materials and new design structure. Within that attractive dash is an upgraded eight-inch infotainment screen that controls all the radio functions. The 1.4L turbocharged engine makes 153 hp and 177 lb-ft of torque which may not sound like a lot but the little Encore can scoot. The turbo four delivers the torque across the RPM band effectively which provides an enjoyable commute. 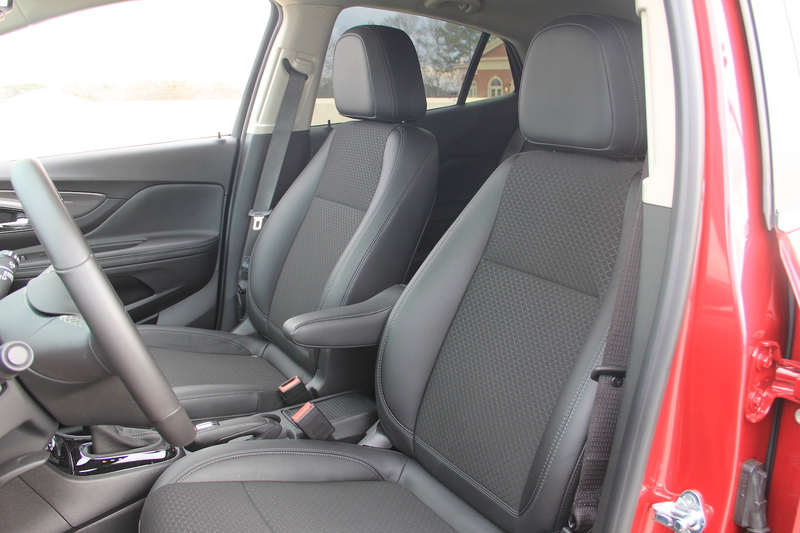 Around town and on the highway, the Encore has some zip and is peppy from light to light. With its size and power, the Encore also achieves stellar gas mileage boasting around 30 mpg combined.